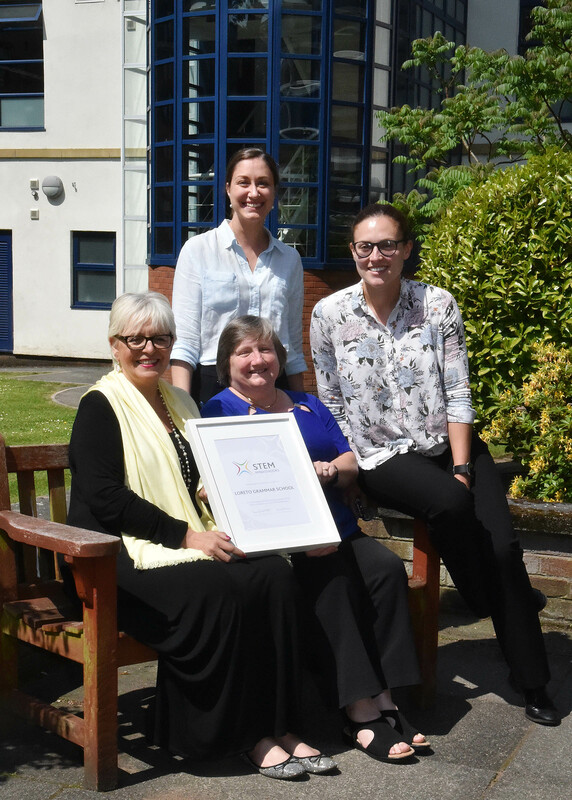 Loreto Grammar School's ground breaking STEM team have won the North of England and Scotland's Enthuse Award for the quality of their continuing professional development in Science, Technology, Engineering and Maths teaching. The teachers and technicians from the leading Altrincham Catholic Grammar School now go to the grand finals as part of a winning quartet of northern schools competing for the national title. Among their party will be Churchill Fellow and Loreto Grammar School's STEM coordinator, Elaine Manton, who won the North of England and Scotland's individual award for STEM teachers. Pictured from left to right sitting are Elaine Manton and Victoria Sims and standing Kate Stoddard and Abbey Horn.